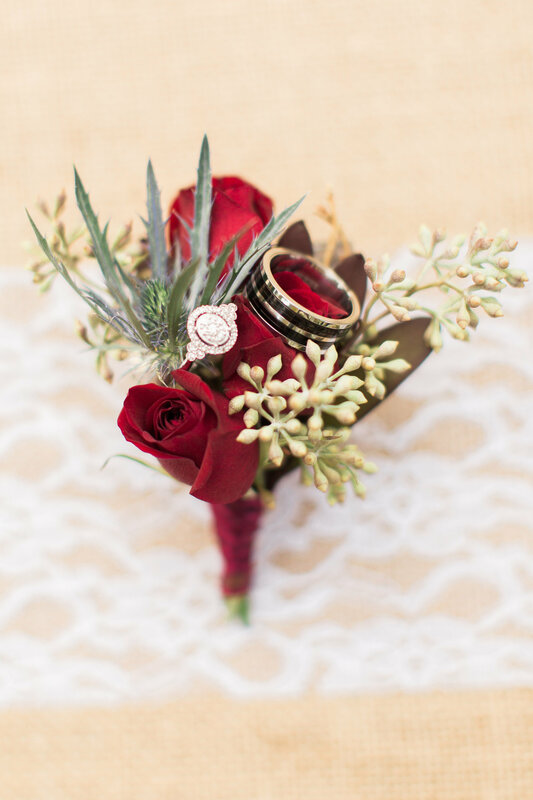 Burgundy is huge in today’s wedding palettes. 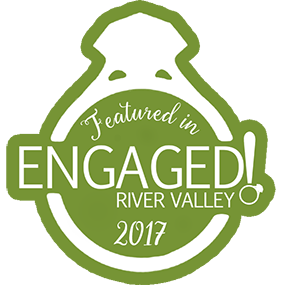 It is popular throughout the year but especially in the fall. 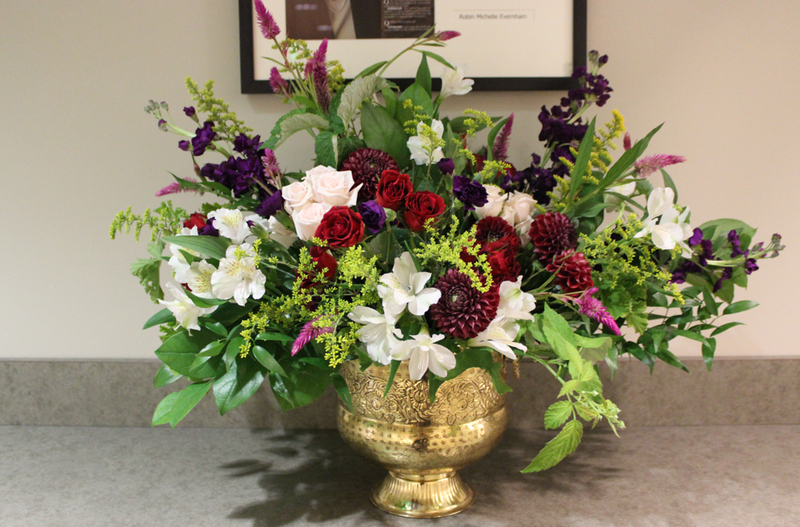 There are not a lot of flowers available in burgundy but you can change the look by pairing them in different ways. 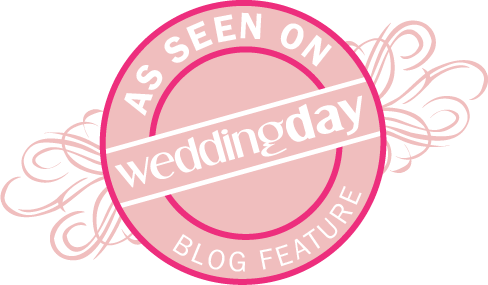 Read on for a few ideas and inspiration. 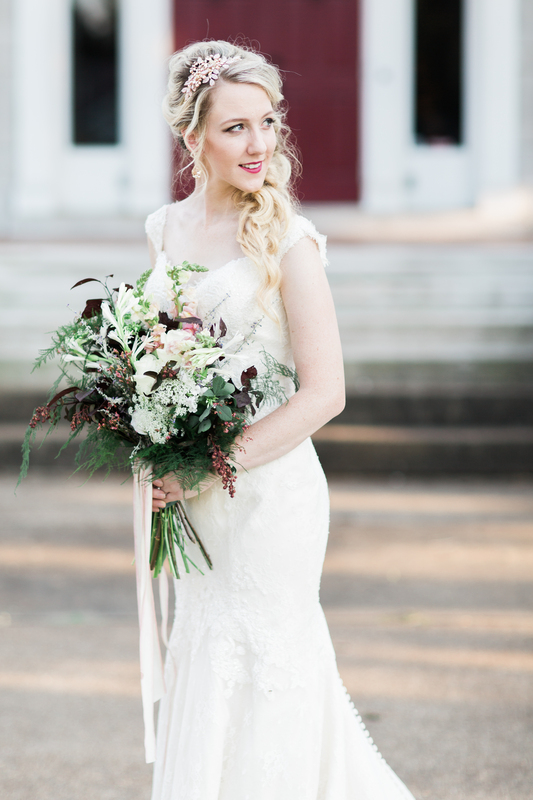 Many may argue that blush is the most popular color in current wedding designs but I think that burgundy is very close. The two are paired often. 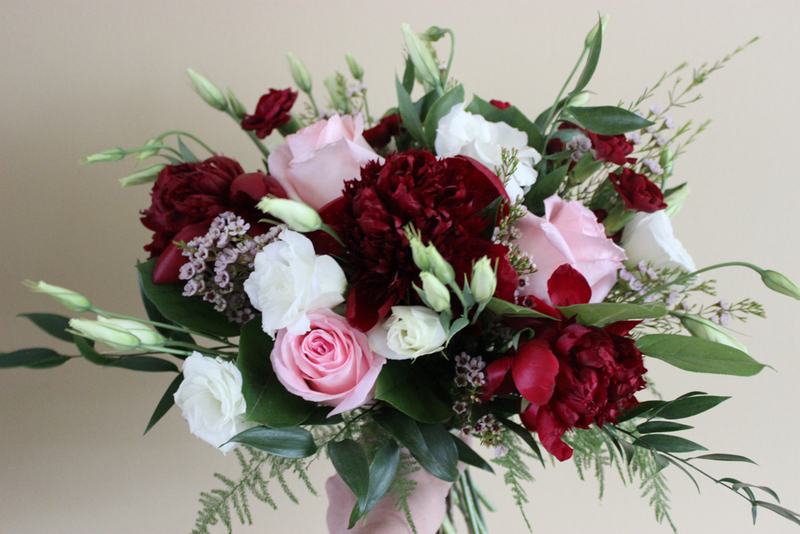 This spring bouquet used burgundy through the statement peonies, mini carnation accents, and the delicate centers of the wax flower. 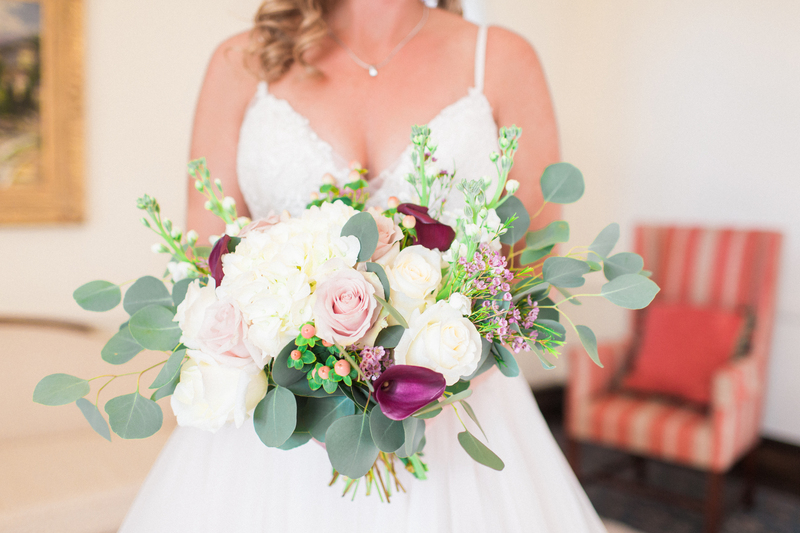 This bouquet shows burgundy as an accent with the blush and white palette, using calla lilies. 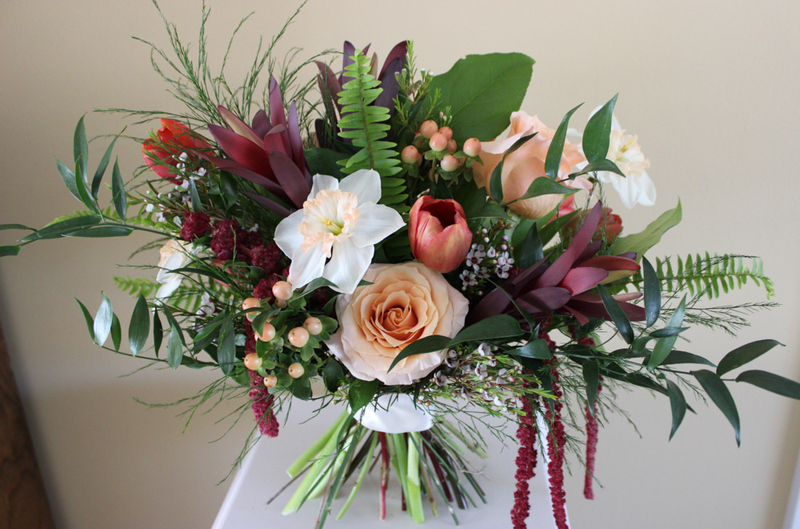 This spring bouquet used the spiky safari sunset that I love to use all year. 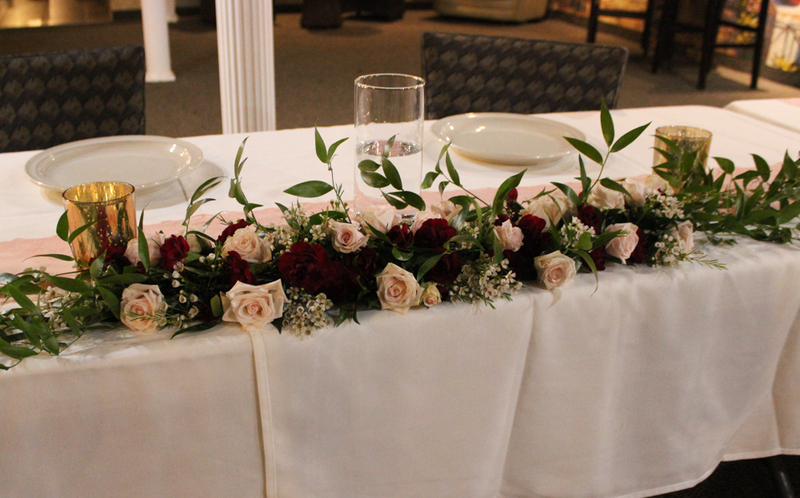 Amaranthus drapes as a burgundy accent. Amaranthus is in season during autumn but can sometimes be sourced other times of the year. 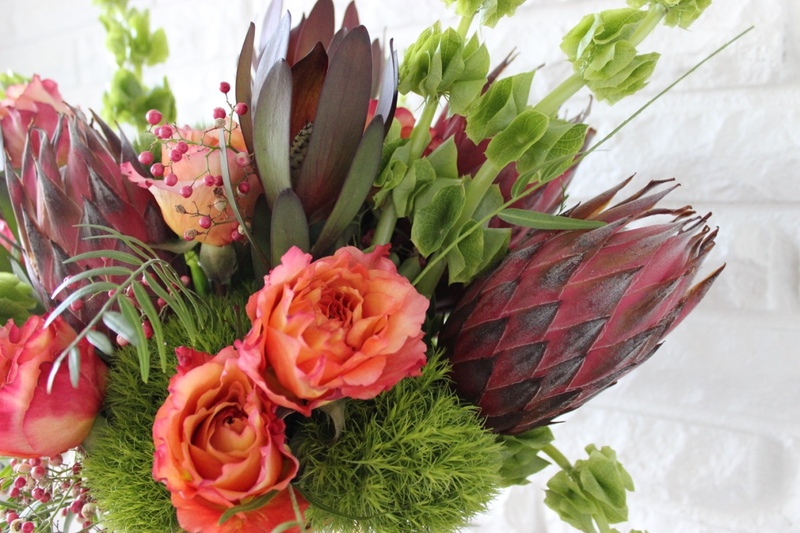 A close up of this fun, textural arrangement shows the burgundy safari sunset and pink ice protea (which often has a burgundy tone when paired with other burgundy pieces) with a coral palette. 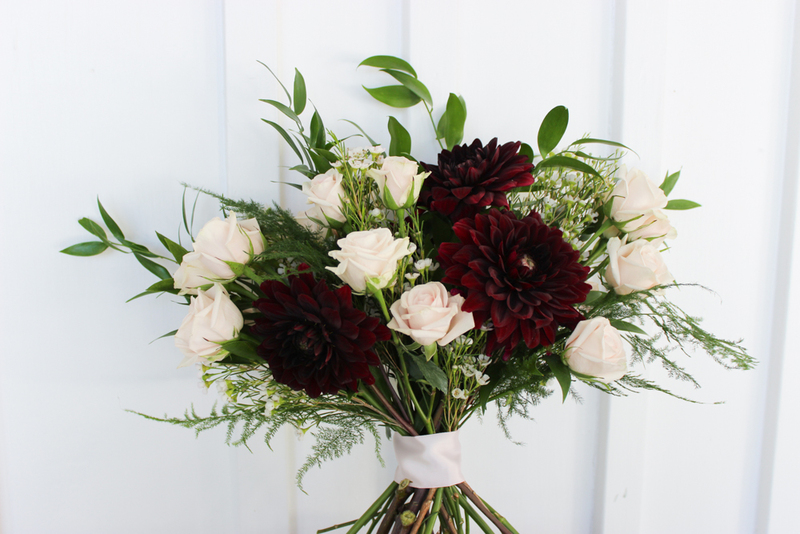 This late summer bouquet uses burgundy foliage which is another way to bring burgundy into your florals. Fall is when burgundy really shines. Dahlias are an obvious burgundy flower for the season but the color can be brought in through other flowers and foliages as well. 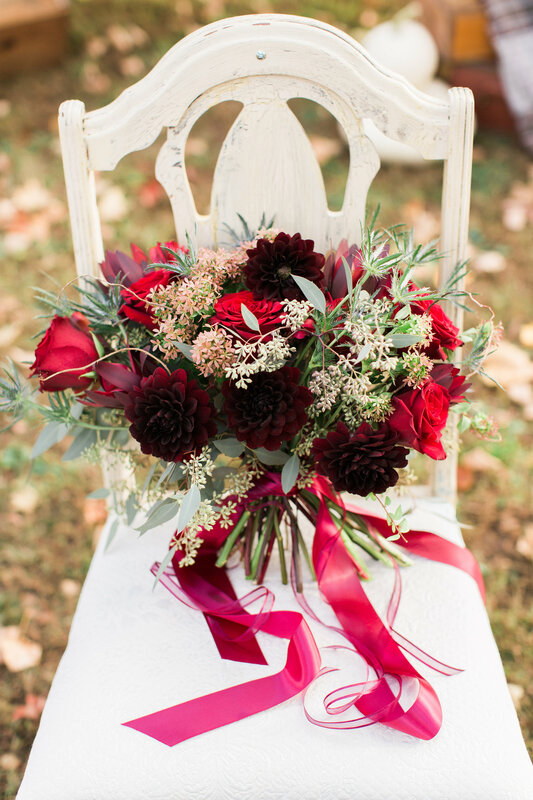 For more burgundy inspiration you can take a look at my Burgundy Floral Inspiration Pinterest board here. What do you think of burgundy? 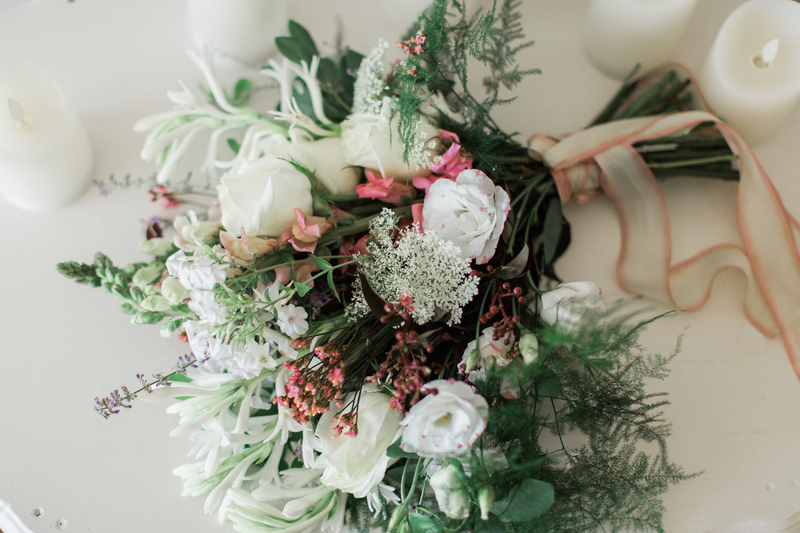 Do you prefer it brought in through florals, foliage, or both?